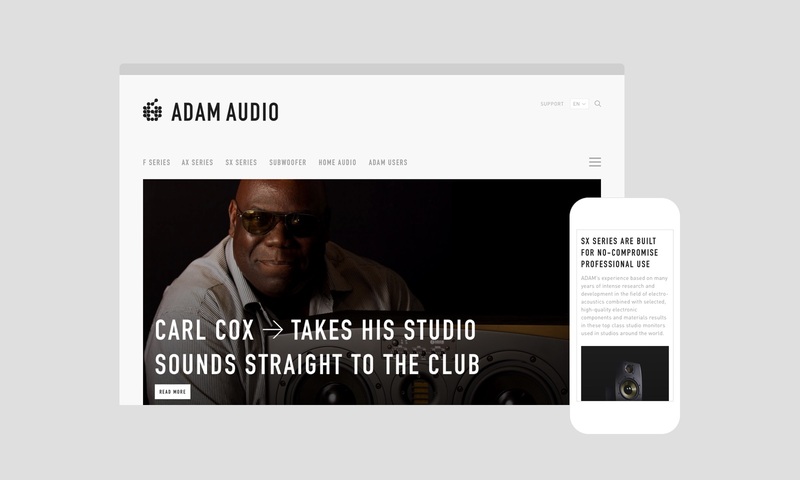 Adam Audio is developing, manufacturing and distributing high precision studio monitors which are valued by the best audio-engineers, DJs, and musicians around the world. The Berlin company was seeking for an update of its old identity and website. On behalf of Goldener Westen, I was responsible for the refresh of the website’s user experience and interface. The transparent process involved the client heavily. We started with research, interviewed opinion leaders, created personas and then sketched complex wireframes. I have also moderated the very active dialogue on the progress. Even the development studio got involved at this early stage. There was a lively discussion in Moqups on various wireframe elements. 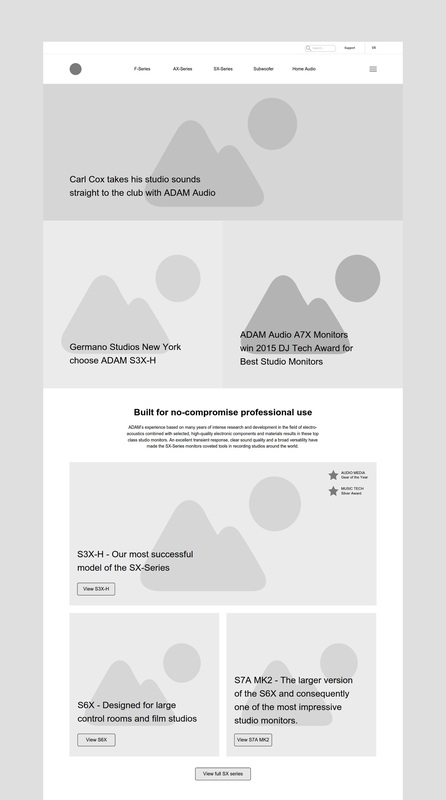 The wireframe for the main landing page. 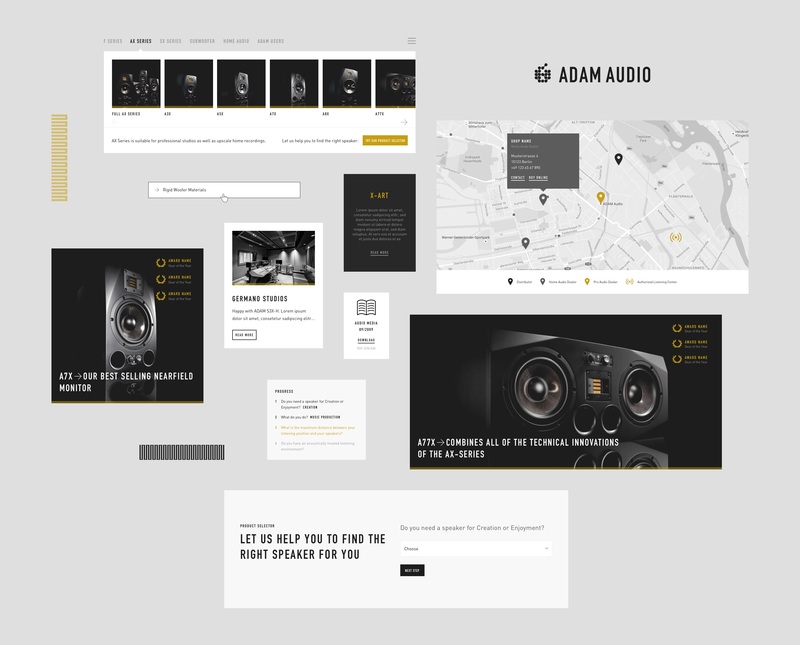 In parallel to the website’s concept, the team at Goldener Westen worked hard on the new identity. 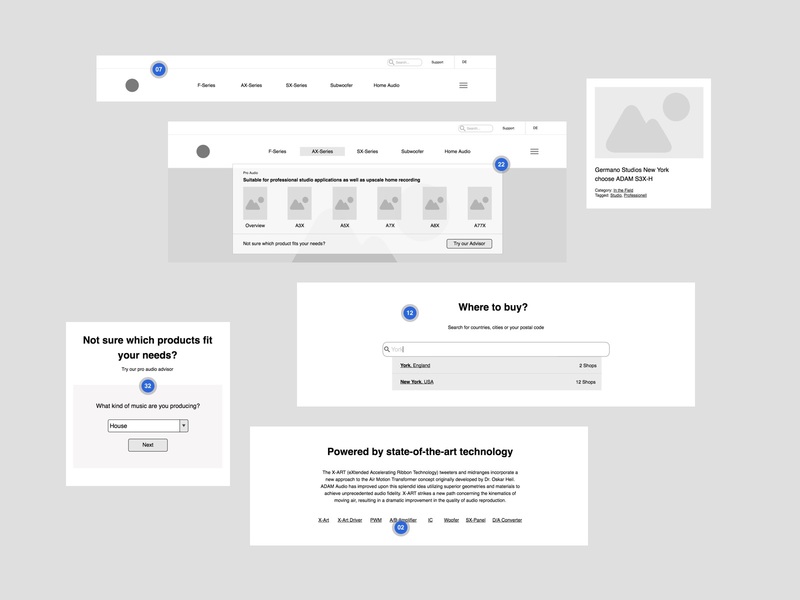 When everyone was satisfied with the wireframes, I started to work on the screen design and its elements based on the identity concept from my team. Cutouts of the assembled interface. All screen designs were presented and reviewed with the help of Invision. This way the client was always up-to-date and could give feedback at any stage. When all screens reached the final state, I moved everything to Zeplin for a smooth handover to the development studio. 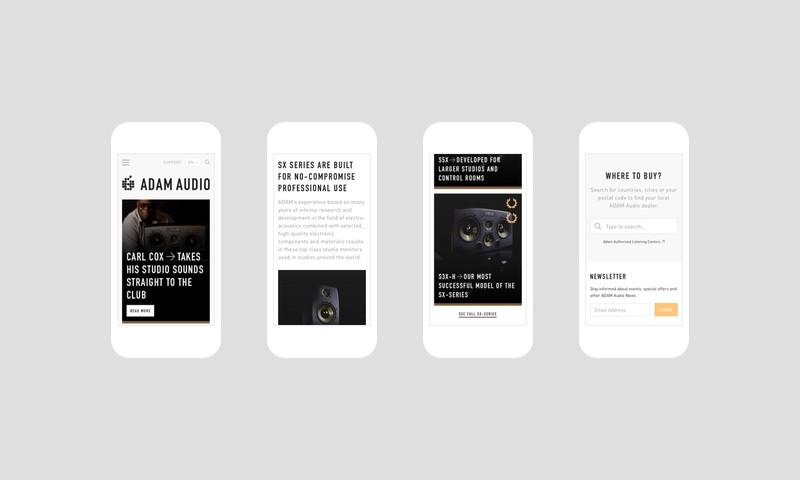 Landing page design for the AX product series.